Odori Park is in the center of the town and considered to be a symbol of Sapporo. Filled with numerous flowers, trees, and fountains during the summer, Odori Park provides a welcome respite from the madding crowds of the surrounding city. Although quite narrow the park is quite long, stretching over 12 blocks across downtown Sapporo. ​It stretches East to West through Nishi 1 Chome, to Nishi 12 Chome "'Nishi' means west, and 'Chome' means block in Japanese", and divides the city into north and south sections. 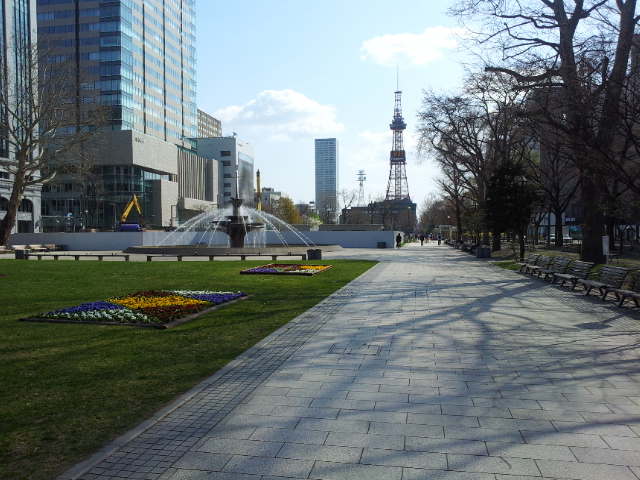 Odori Park spans about 1.5 km and covers about 79,000 square meters. Throughout the year, many events and ceremonies such as the Sapporo Lilac Festival and the Sapporo Snow Festival are held in the park. Local landmarks including the Sapporo TV Tower and the Sapporo City Archive Museum are located within its boundaries. 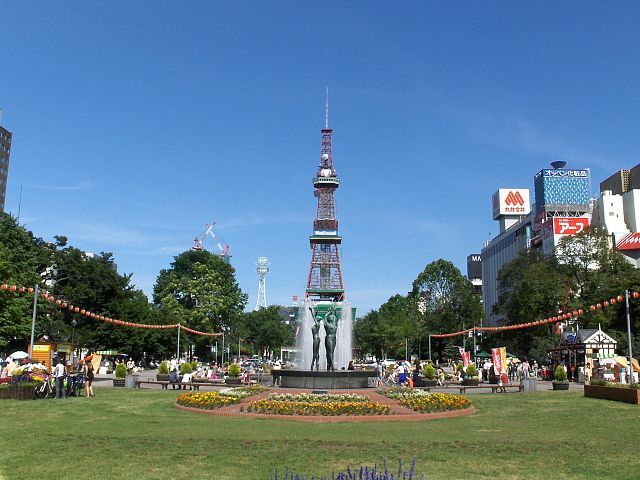 At the Eastern end of Odori Park stands the Sapporo TV Tower which is 147 meters high, and its observation deck at the height of 90 meters, offers nice views of the park and the surrounding city. ​During the evening the tower is illuminated, making it an attractive landmark. Hours of operation vary according to season. Admission fees vary as well – there are different plans including Daytime/Evening Ticket that allows visitors to enter twice and enjoy the views for a surcharge. 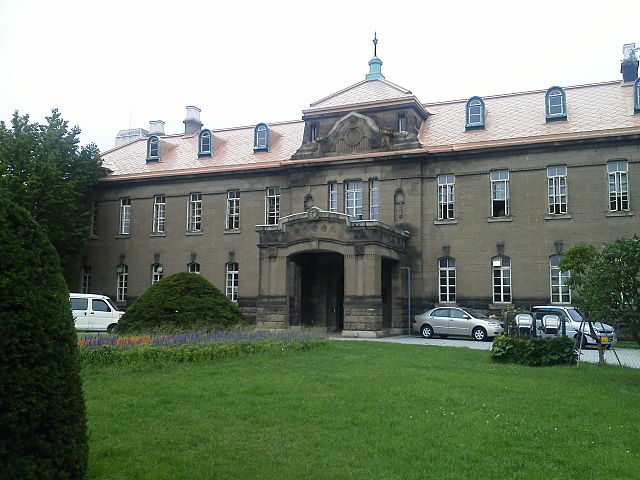 Formally, Nishi 13 Chome is outside of the Odori Park, but it has been regarded as a part of the Park since the Sapporo City Archive Museum was constructed. ​The museum collects, archives, and allows users to access various materials including documents and records regarding Hokkaido history. ​The collection includes approximately 63,000 official documents, 44,000 private documents, and 166,000 historical records, maps, photographs, and books regarding Hokkaido history. Nijo Ichiba "Nijo Market", is Sapporo's equivalent to Tokyo's famed Tsukiji Fish Market. This is where the best of Hokkaido's catch is traded — and like its Tokyo counterpart, there are many restaurants here offering top-quality, cut-price sushi and sashimi. 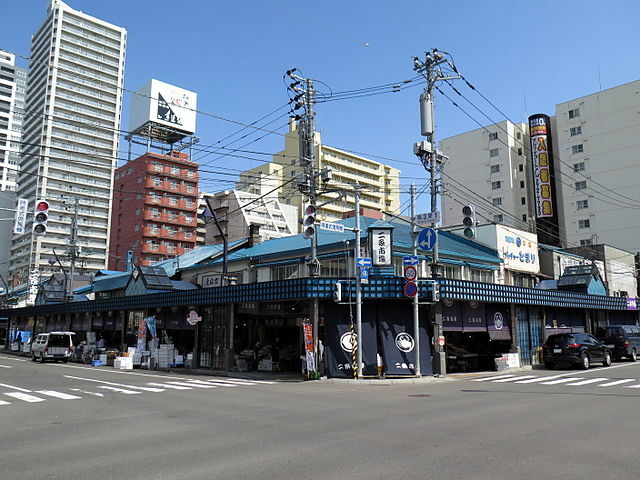 ​Nijo Market is three blocks south of the TV Tower at Odori Park, and about a five minutes’ walk from Odori Station on the Nanboku, Toho and Tozai Subway Lines. Not a seafood fan - Noodle lovers can head to Ramen Yokocho, a narrow lane lined with ramen shops in the Susukino District. At the heart of Susukino two streets in particular have been attracting ramen noodle enthusiasts for quite some time. ​​First there was Ganso Ramen Yokocho, "the original alley" - an institution since the very first restaurant opened in 1951. Envious of this restaurant's success, another fifteen restaurants quickly followed suit and opened up their doors. 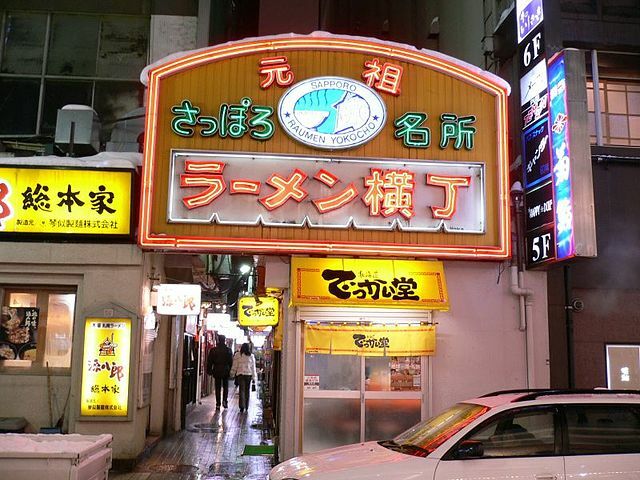 ​In 1976 a few blocks away from this historic street, Shin Ramen Yokocho was born. 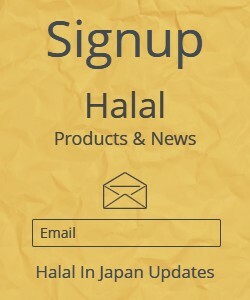 ​Restaurants are playing their best cards to attract customers, either through sheer talent or the audacity of claiming to offer the tastiest noodles. For as it is often the case in Japan, a restaurant's popularity, and therefore quality, is judged by the queue that stretches their longest outside the door. 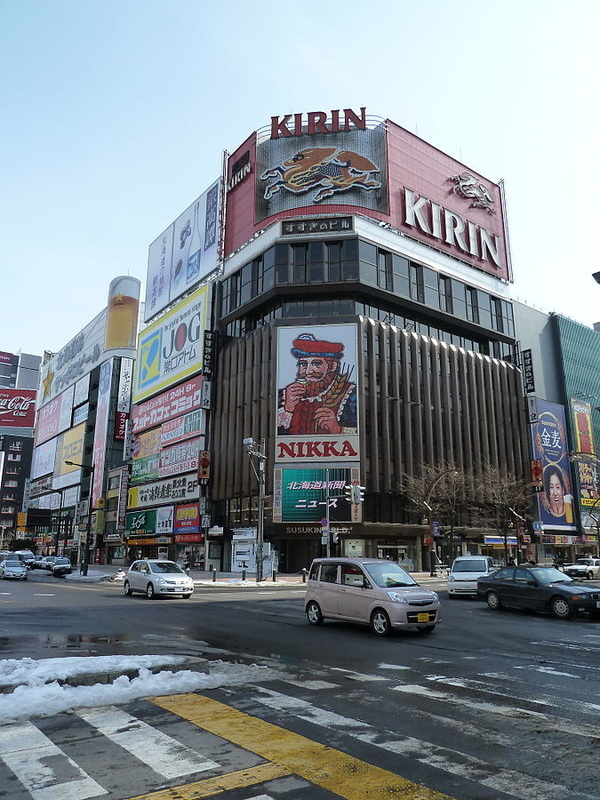 Susukino is one of the major red-light districts in Japan along with Kabukicho in Tokyo. The district is packed with many restaurants, bars, hotels, and adult-entertainment establishments. 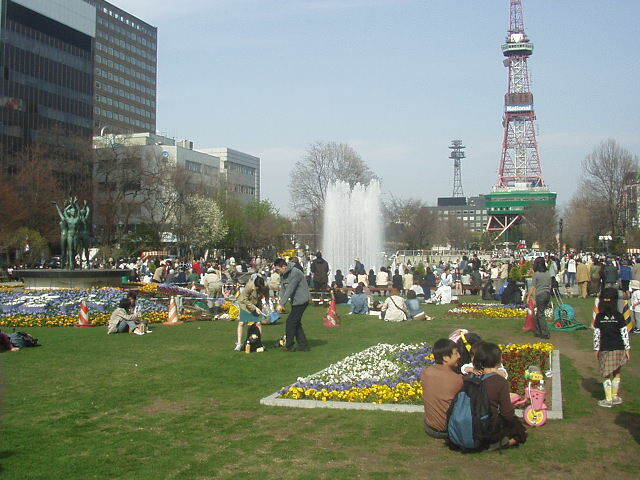 Odori Park is ten minutes’ walk south of JR Sapporo Station. It is just beside Odori Subway Station. 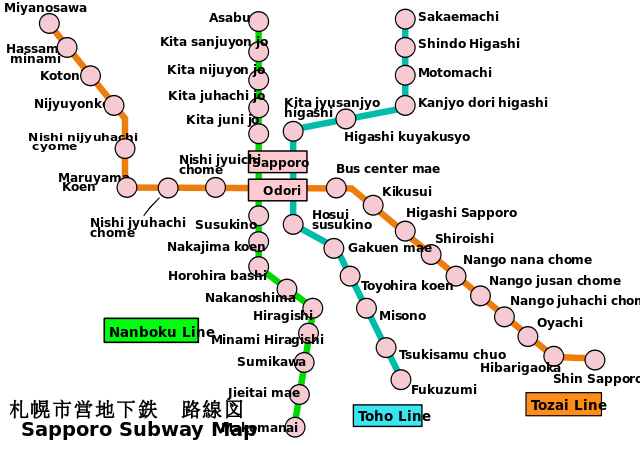 All of Sapporo's three subway lines intersect at Odori Subway Station. ​​The information about Sapporo City Transportation on Sapporo city website can come handy. Tourist Information Centers provide materials including maps that can guide you where to go and what to see.